Why is the Need for Bladder Exstrophy Care so Great in India? This question is raised almost every time I tell someone A-BE-C is committing energy and resources to the care of patients in India. And I asked this question to Dr. Rich Grady (Seattle Children’s) when he returned from one of his several charitable trips abroad. He explained that the unique combination of a high number of cases, combined with a shortage of in-country experts, along with limited resources for care create a “perfect storm” of massive unmet need, greater than anyplace else in the world. He went on to say that I needed to experience it to fully understand. Last January Dr. Aseem Shukla (Children’s Hospital of Philadelphia, Division of Urology), who now leads this initiative, invited me to go and see for myself the challenges that both the families and medical team face in the developing world when treating this complex condition. My goal for that trip was to observe and provide my input from a parent perspective how A-BE-C could help support global care of bladder exstrophy. When I walked into the room full of families waiting with their children, no one could have prepared me for the overwhelming feeling of desperation and fear that I felt. It still haunts me to this day. It is estimated that approximately 600 babies are born in India each year with bladder exstrophy compared to the approximately 80 – 100 born the in U.S.
Ahmedabad Civil Hospital is one of Asia’s largest hospitals serving a population area of over 60 million people. And because they provide completely free healthcare, families travel from all over India – and now other developing countries – seeking care. We are unable to treat all the bladder exstrophy patients who are pleading for our help at Civil Hospital routinely due to a lack of adequate facilities for long-term boarding of patients and their families. As a result, they are left untreated or poorly treated somewhere else. 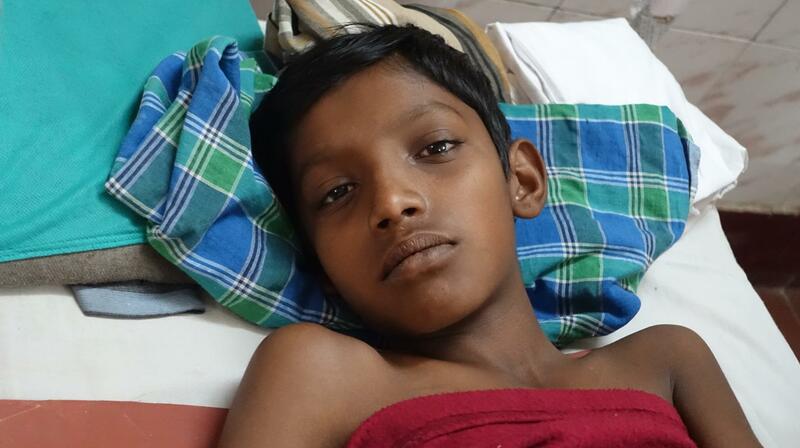 Globally, there is a crucial lack of pediatric surgeons, especially in the developing world, who have the training and expertise to treat bladder exstrophy. Put simply, the lack of specialty-trained pediatric urologists working exclusively for children throughout parts of the world in urgent need of complex surgical reconstruction is most acute where the need is the greatest. The 8th Annual Operative Workshop on Exstrophy and Epispadias Complex is a joint collaboration between the Children’s Hospital of Philadelphia (CHOP) Division of Urology, Civil Hospital’s Department of Surgery and the Association of Bladder Exstrophy Community (A-BE-C).